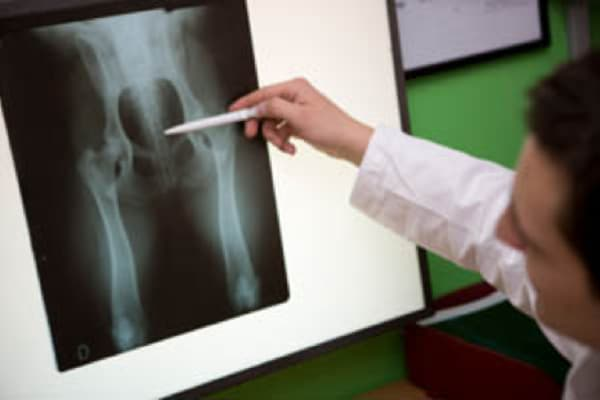 X-rays are a form of electromagnetic radiation (like light, but with a shorter wavelength -and much more powerful) that can penetrate solid objects and can be used to visualize structures inside the body. 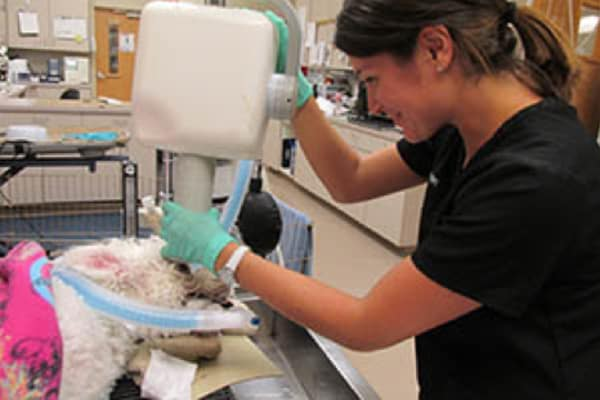 At Care Animal Hospital our Certified Veterinary Technicians and assistants are skilled in taking radiographs. We use radiographs every day to look for abnormal organ detail and to view bone and joint structure, noting growth patterns and injuries. Radiographs also help us locate and identify foreign bodies – things your pet should not have eaten! If they are needed, we can usually complete radiographs while you wait at the hospital, but if your pet is painful and needs medications before we can proceed, we may need more time. Care Animal Hospital offered both full body radiography and dental radiography when it opened in 1988. Several years ago we purchased digital equipment for both kinds of radiography, making the process easier and, because digital radiography reduces the amount of radiation needed, safer for your pet and for our staff. Digital x-ray equipment also allows our staff to enlarge the image and to increase and decrease image contrast. Today, all the radiographs we take are captured and stored digitally so the images are transferred instantly to a computer file. We routinely send radiographs (with your permission, of course!) over the Internet to referring specialists and to specialized veterinary radiologists for review. In addition to archiving the images when we are finished, we can also easily give you a copy of your pet’s digital radiographs. Although digital dental radiographs take only a few minutes to complete, sedation or anesthetization is required to ensure that your pet maintains the proper position for each x-ray. Talk with one of the veterinarians at Care Animal Hospital regarding other preventative care treatments your pet can undergo while sedated.